Atlanta Anger Management is an Atlanta, GA based Anger Management Education, Training and Research Company offering the latest Anger Management curriculum that focuses on introducing behavior strategies for identifying and managing anger, stress and conflict while enhancing emotional intelligence and assertive communication. My website and content is copied across most anger management websites in Atlanta. How do I know. Because I was in business first (2009) and easy for others to just copy, imitate, steal, rather than do the hardwork of producing original content. Richard Taylor is Certified as a Certified Anger Resolution Therapist (CART) by Newton Hightower of The Center Of Anger Resolution, Inc. of Houston, TX. His model of Anger Management is accepted in all 50 US States. Richard has been recognized by National Register’s Who’s Who in Executives and Professionals. 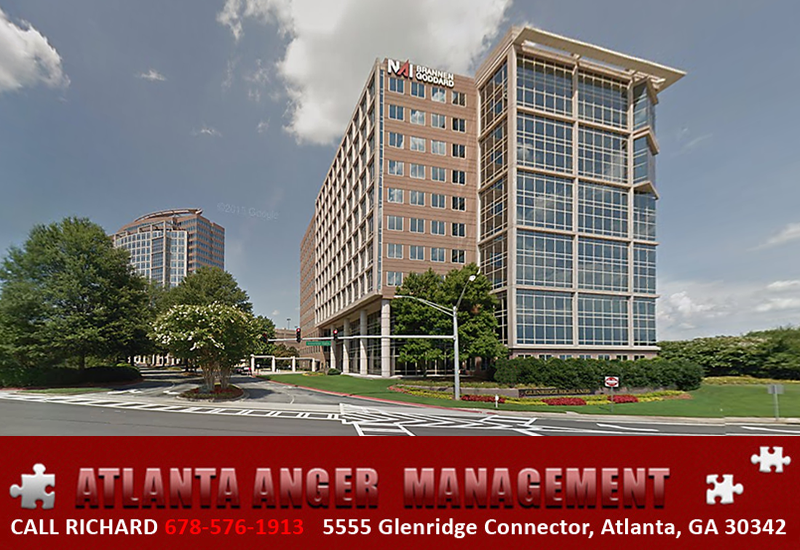 Anger Management Classes Atlanta – Most Classes, Best Price, Nice Offices, Free Parking, Close To MARTA Medical Center Station Red Line. Go straight through Signal Light into driveway of building. We use Client Workbooks. The mandatory use of client workbooks is the most important single factor in determining the effectiveness of any program. Research conducted by the Canadian Bureau of Prisons have shown that effective anger management programs must have user friendly workbooks containing all of the information to be covered in the courses to be provide continuity and integrity in the training. H.R. Managers, Judges, and District Attorneys inquire for a free copy. Facilitator Certification: A large percent of anger management counselors, therapists, trainers and teachers have no formal training in anger management intervention. Or they have attended programs that offer less than adequate solutions for anger management. NOTE: Important note for some. Atlanta Anger Management services are not religious based in nature. Our services teach practical everyday skills to improve assertive communication, manage anger and stress and increase emotional intelligence. Choosing change, individuals will experience improved relations to themselves and others resulting in increased happiness.